Welcome to this turnkey, professionally upgraded with designer's taste two story detached condominium in the gated community of Flores Los Alisos. Upon entry you will notice the coveted open floor plan with tons of natural light. The beautiful kitchen has been remodeled with top of the line stainless steel appliances, beautiful white cabinets (soft-closing) and Quartz counter-tops. The home has been re-done in beautiful soft grey tones. Downstairs include luxury vinyl plank (waterproof) flooring and upstairs has plush carpeting. There is a remodeled half bath downstairs. New dual pane upgraded windows and sliding door. New front entry door. All new LED electrical fixtures and ceiling lights with dimmer switches. The gorgeous master bathroom has jetted tub, a beautiful shower with seating and top of the line fixtures. It also features a double vanity. The second bathroom has also been remodeled. No expense has been spared in remodeling this gorgeous home. Freshly painted interior and exterior. The garage has epoxy floors and tons of storage areas. Upstairs laundry area includes new washer and dryer. The backyard has a wonderful panoramic canyon views and is perfect for entertaining. The home also features ceiling fans and a new A/C unit. 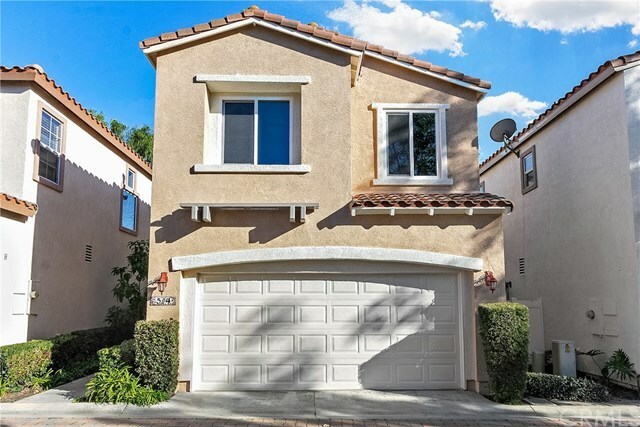 Walking distance to Wood Canyon Elementary, the new Arts and Communication Academy, Soka Universiity, Aliso Niguel High School and Aliso and Wood Canyons Wilderness Park and Trails. No Mello Roos. Directions: Aliso Creek to Wood Canyon, right turn onto Las Flores, turn right at the gate and another right at the T intersection.